Improve the appearance of wrinkles and fine lines. This hyaluronic acid-based product is also used to create the appearance of fuller lips, to enhance the contours of the face, and to provide rejuvenation to the skin. Restylane Dermal fillers have been clinically proven not to affect facial expressions or the movement of facial muscles, which are negative side effects that may be possible with the use of other dermal filler products. It is a hyaluronic acid-based, a material that is very similar to the same hyaluronic acid which is naturally present in the human body. The biocompatibility (similarity) of the material to the one naturally found in the body makes it possible for this product to be used with very minimal risk for hypersensitive or allergic reactions – no skin tests are even needed prior to the actual treatment session. The clear gel is injected into or just under the skin (depending on the type of treatment necessary) to restore structure and volume, resulting in dramatically visible improvements in the specified treatment areas; the material is then broken down eventually naturally by the body. Has clinically been proven to be safe, natural, and effective -based on a wide range of clinical studies done. As it is based on hyaluronic acid (which is a material found naturally in the human body), there are very minimal risks for allergic reactions. The results can instantly be seen after one treatment – wrinkles appear to be smoothed away, lips are instantly plumped up and become fuller, facial contours enhanced, and skin given instant rejuvenation. Facial expressions and facial muscle movement are not negatively affected. Results are long-lasting, but are not permanent. This gives the patient the choice on whether to maintain the effects with continuous/succeeding treatments, or not. Result generally lasts for six to 12 months; clinical studies show that with one re-treatment, the results can last for up to 18 months. Lip enhancement treatment results can be maintained with a re-treatment after a period lasting up to six months (from the initial treatment). The non-surgical treatment involves minimal downtime – one can go back to normal daily activities after the treatment session without having to worry about negative side effects. 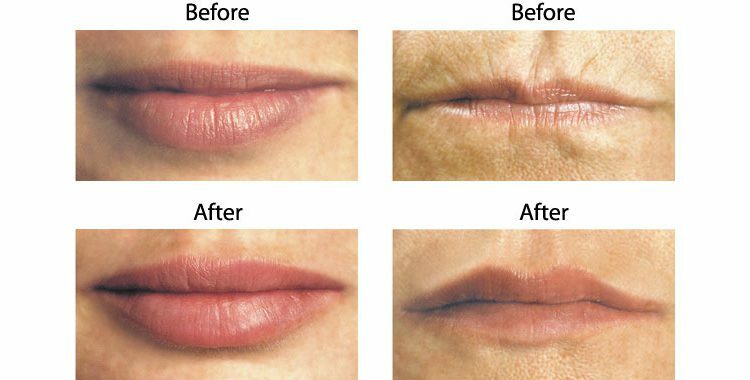 This treatment is designed for deeper facial lines, wrinkles, and folds (such as the nasolabial folds – the lines that form on the sides of the nose to the corners of the mouth). This treatment is also used for enhancing the shape of facial contours – such as improvement needed for certain facial features, as well as minor to moderate contouring of the eyebrows or cheek areas. The effects are subtle yet effective in restoring the contours which have been lost in the facial features involved. This product e is a hyaluronic acid-based natural beauty product in clear gel formulation which is biocompatible – it is a material that is very similar to the hyaluronic acid found naturally in the human body. The biocompatibility of this product makes it very safe to use – with minimal risks of allergic reactions or hypersensitivity issues with the actual treatment. Depth of Injection – R Perlane treatments require a deeper injection compared to treatments using Restylane, mainly because of the larger particles involved. Deeper facial lines, wrinkles, and folds (such as the nasolabial fold, or the lines formed on the sides of the nose to the mouth corners) can effectively be smoothened out. There are no adverse effects on facial muscle movements, or facial expressions – the face will not take on an unnatural look that seems perpetually “frozen” in one expression. Minimal downtime can be expected after a treatment, making it possible to carry on with normal daily activities. Long-lasting results can instantly be seen after a session – deeper wrinkles and facial lines are smoothened out after just one session.Biocompatibility – hyaluronic acid provides very minimal risk for hypersensitivity issues, or adverse allergic reactions. This is a hyaluronic acid-based product that works in enhancing the volume and appearance of facial contours, specifically in the chin and the cheek areas. Improving how these areas look like can give a boost of youthfulness to the overall appearance of the face, giving it a more defined and more symmetrical effect. A face lift effect – through facial reshaping and contouring – is successfully achieved with this treatment, which restores lost facial volume and provides support to the facial contours. How Does Restylane SubQ Work? 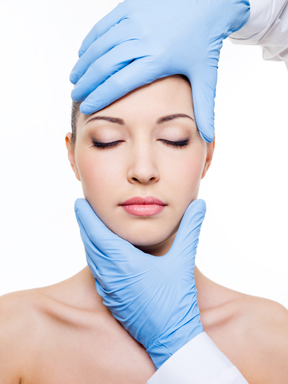 A non-surgical treatment provides instantly visible facial reshaping results – with just one session, significant improvement can be seen in the definition and/or volume of the chin or cheeks area. It is made from a unique hyaluronic acid form, which works in binding water to the skin – effectively restoring lost volume and fullness to the cheeks and chin areas, and improving the facial contours in the areas that were treated. It is injected deeper into the skin (to work better in restoring facial contour volume and definition), compared to other of this brands products. Restores the symmetry of the face with natural facial contouring and re-shaping with a face lift effect that is long-lasting. Suitable for those who have lost facial contour definition due to the natural ageing process, weight loss, and other medical conditions that lead to facial asymmetry (for example, a droop on one side of the face). The hyaluronic acid material used is similar to the hyaluronic acid found in the human body, making this product very safe to use. There is very little risk of hypersensitivity, or even of having allergic reactions, from the treatment.